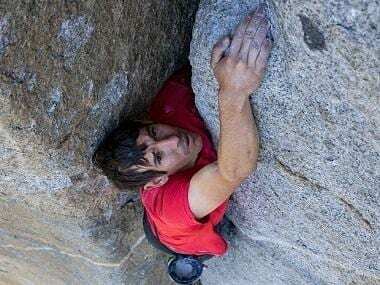 National Geographic’s Oscar-winning documentary Free Solo is set for a theatrical release on 12 April in India, the brand announced today. The film won the Best Documentary at both the Oscars and the BAFTAs. From award-winning filmmaker Elizabeth Chai Vasarhelyi and world-renowned photographer and mountaineer Jimmy Chin, the directors of the Oscar-shortlisted film Meru, Free Solo is an intimate and unflinching portrait of the free soloist climber Alex Honnold, as he prepares to achieve his lifelong dream: climbing the face of the world’s most famous rock – the 3,200-foot El Capitan in Yosemite National Park without a rope. However, as the climber begins his training, he begins to fall in love, which threatens to divide his focus, giving way to injury and setbacks.